This topic has 47 replies, 32 voices, and was last updated 5 years ago by ell_tell. I know its been done before but I didn’t need to pay attention then. Want something that I can plug both my nexus and iPod into that has excellent sound and small enough to take on holiday. For the money these are stunning…. I’ve heard one of those minrig’s and they sound fantstic, nice and loud and clear! If I had the money it would be top of my list. Oooh that looks nice. How much is postage to the UK? I second what MartynS said – I have one and they are excellent. Mini max II are pretty good. Just for the record, no little speakers are “really good”. JCL – you never heard a pair of Linn Kan’s properly driven with a decent Naim stack from an LP12. Thats “really good to me”. Kan’s did sound OK apart from the whole no bass thing. Thank god it’s not just me. To be honest, big speakers have almost as many (but different) problems as small speakers. Wondering why “mono” is making a resurgence. It’s strange that’s for sure. These things sound OK if you’re gardening or doing some stuff round the place but I don’t think they compare to proper speakers with a bit of sound stage and what have you. Minirig speaker…..these are amazing but not Bluetooth. But it’s just a cable from your device into the speaker. £95 for the standard and you can get a sub for £150 which turns it into something unreal for the size. Only at shows. Pleasant but where are the bottom 100hrtz? 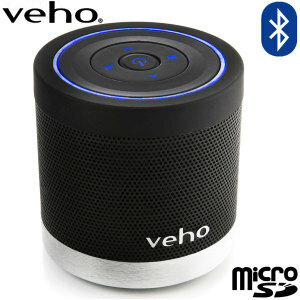 £25 and this little Veho M4 is excellent! Well, good enough for trips away and BBQs etc. OK you wont feel the bass, but you dont expect that. Bluetooth, rechargeable and also has SDCard slot so you dont even need a player (very handy feature, I didnt think I’d even use that). I use it in my garage, in the kitchen, my lad uses it with his music on sdcard, used at BBQs over summer and used whilst away camping and hotels. I’ve got one of these. Not a bad sound for such a small bit of kit. Looks like this is the latest version. Mine came with a bag, all the different iPod adapators and a 3.5mm jack to plug the phone in. deffo not my cup of tea, a massive step backwards in sound reproduction..
100 quid for tiny little speakers? sod that. $10 for xmini-2. Get a couple. Job done. Don’t know if this link will work but I bought some Sony SRS BTX500 speakers a few weeks ago and they’ve been really rather good. Normal Bluetooth connection, rechargeable battery etc. and they sound excellent and compact enough to take anywhere..
For all the ‘dreadful mono’ posters, the Mini Max II I mentioned are stereo. And they’re a good solution for portable music. Funnily enough they won’t sound like an expensive pair of hefty audiophile speakers, but that’s not exactly a surprise, is it? Looks like they’ve been superseded. Comes in any colour you like so long as it’s toxic. 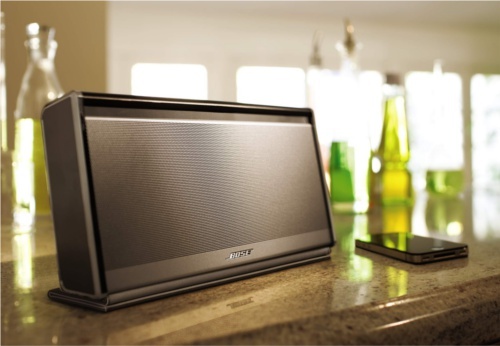 With the modular Buddy-Jack design you can connect a row of MAXs for jaw dropping audio, capable of forming an almost endless daisy chain of self-powered, bass-enhanced portable speaker system. So there may be two speakers, but they’re not stereo speakers. WTF is the point of that then? I’m going back to one of these. Who’s with me? Yeah. That’s why I didn’t recommend those ones. The Mini-Max II’s are NOT the same. They are a pair of speakers that come with a stereo cable – as in one connector is labelled L & one is labelled R; stereo…….if you play something like the beginning of Dude Looks Like a Lady, you get the L/R separation of the intro. Like I said; stereo…. I’ve had mine for two years, they’ve been on camping trips, on several holidays, sat in the garden all day while I’m out there and they are still fine. The cable is the weak point I think, as it is very thin gauge wire. I take care with it, as I’m sure one day it will fail. I can’t believe minirig expect people to have a lead plugged in in this day and age. And at that money. I got the Mrs a kitsound hive for 25 quid from sainsbury and its good. sweepy – how did you get it for that price? Cheapest I can find is £40 and most are £49 ! The topic ‘Really good little speakers.’ is closed to new replies.